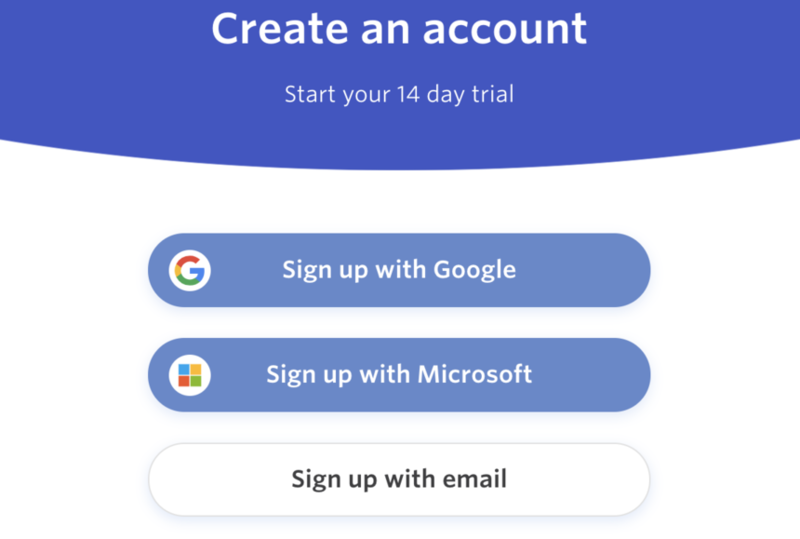 When you sign up for a new trial or join as teammate in a company, you can use your existing Google or Microsoft login for Front! Our OAuth method allows you to seamlessly log in with your existing Google or Microsoft account, or you have the option to create your own Front login if you wish. Using your Google or Microsoft login is helpful because it will automatically set up and import your private inboxes into Front for you! By default, the private inbox that is created will import 10K of your most recent Google messages or 1K of your most recent Microsoft messages from the inbox. When you first sign up, you will see the option to use Google, Microsoft, or your own email address. Click the method you want to use, such as Sign up with Google. You will see a list of Google accounts to choose from. Select the one you want to use to sign up with. This will be the account associated with Front. If you don't see the account you want to use, click Use another account. You will see a screen to allow Front access to your account. Click Allow to confirm. 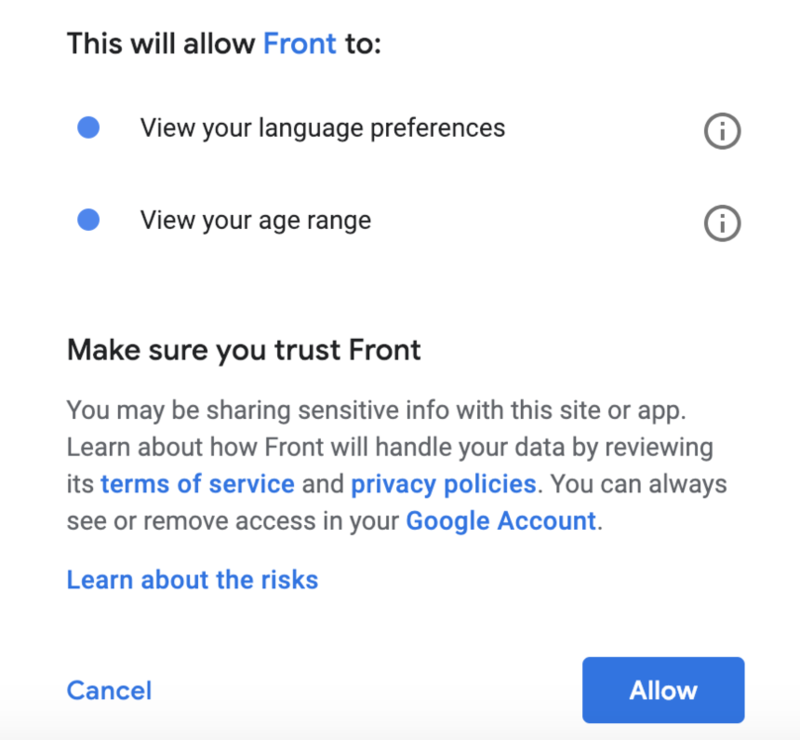 Note: We ask to access this basic information from your Google or Microsoft account so that we do not need to ask it again when you set up your Front account. You will walk through a few onboarding screens to start setting up Front. You will land in the Front dashboard and see that your private inbox has already been added!